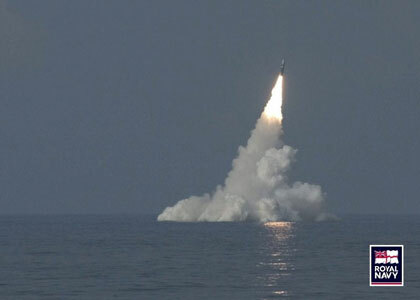 The British nuclear deterrent is currently based on Trident ballistic missiles launched from submarines. The current missiles and boats are due for replacement over the next decade or two, but the cost is staggering. Total system costs for a few decades could run to £100 billion. 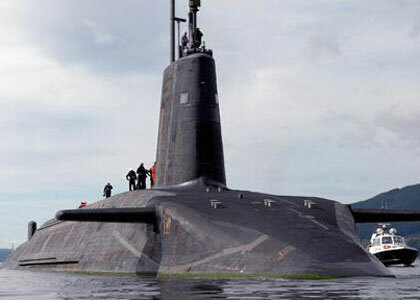 The British government is unwilling to replace the current SLBM system with a technically less capable system. Trident missiles are American, and the transatlantic cooperation shows solidarity. During the Cold War, an independent British nuclear force guaranteed deterrence within Europe even in scenarios where American interests were not directly threatened. Those days are gone. NATO solidarity is still important and Trident is still an effective deterrent, but the threat has changed. Russia today is not remotely as threatening as the Soviet Union was thirty years ago. No other power on Earth seems likely to threaten Britain with nuclear annihilation in the foreseeable future. Such hostile regimes as those in Iran or North Korea are well countered by the American deterrent. The likeliest scenario that might trigger an independent British nuclear launch seems to be a French attack, and that contingency is not only politically unthinkable but also militarily absurd. A strategic nuclear deterrent on the Trident scale, which is capable at short notice of delivering certain destruction to several dozen large or hardened targets, is a preposterous luxury for a nation that cannot even afford to maintain the health and welfare of most of its citizens at the best international levels. And in almost any currently conceivable scenario, using Trident at anything like its full power would instantly render the UK a pariah among nations. The same argument applies to France, which has a comparable deterrent, and would apply to any other European nuclear power. Fortunately, a solution is in sight that requires only great political vision, plus the courage to follow through. That solution is to replace the current British and French deterrents simultaneously by a single European deterrent, manufactured in Europe in cooperation with American defense experts and paid for through the European Union. The solution would be another SLBM system, based on missiles made in Europe with warheads retooled from existing British and French warheads. The project would be organized on the basis of experience with previous European aerospace and defense projects. Much of the political infrastructure for implementing the project exists in NATO. Politicians in Britain and France need only agree to delegate all basing, targeting, and launch decisions to the NATO command structure, and renounce any ambition to start a national nuclear war without prior NATO involvement. Such renunciation represents a loss of national sovereignty that some diehard patriots in both countries will find hard to accept. But the history of the twentieth century is enough to discredit nationalist arguments. As Samuel Johnson said in 1775, patriotism is the last refuge of the scoundrel.